With the help of hugs and lullabies, a young girl tucks her stuffed animals into bed, one by one, in this cuddly good-night read. Holly Clifton-Brown's soft palette and adorable illustrations paired with Mij Kelly's comforting rhyming text set the perfect tone for bedtime. A bedtime story about six adorable rabbits. Come on a bedtime adventure with one little knight as he rides through forests to reach his bedroom, battles crocodiles to brush his teeth and climbs the tallest tower to get into bed. This exciting and imaginative bedtime tale is told through Owen Davey's charming and witty words and illustrations — making this a perfect k-nightly read for every young adventurer. Bedtime becomes an unforgettable k-nightly adventure! Bedtime has never been so quiet. This beautiful bedtime picture book will quickly become a favorite for naptime, bedtime and cuddle-up-and-read time. Remember to snuggle up close, because you whisper when you read this book. "Yo ho ho! It's bedtime, but first it's mutiny! This little pirate will do anything to avoid going to sleep. Read along in fun pirate lingo as our young swashbuckler stows his toys in his "treasure chest", searches for his best "mate" (peg-legged Captain Teddy), plays a game of "walk the plank", and reads a few bedtime stories from "Davy Jones's Locker". Will Papa Pirate ever get his little one to catch "forty winks"? Young pirate fans will love this funny, rhyming bedtime story as they laugh along with the little pirate's plots to stay up. It's sure to get every young reader into his "bunk" night after night." Olie must find a way to turn Pappy’s frown upside down—all before bedtime—in this classic picture book-turned-beloved-TV-show from the brilliant mind that brought you The Fantastic Flying Books of Mr. Morris Lessmore. It’s bedtime in the Rolie Polie world, but where oh where is Pappy? He’s fallen down and bonked his head and can’t unfrown! Olie can’t go to sleep without a bedtime story from Pappy, but can Olie cheer him up in time? Olie’s super silly ray should do the trick! A most unusual bedtime book and a lovely ode to the importance of grandparents. This interactive book may seem to be on your side, reluctant sleeper — but it’s truly a bedtime book in disguise! New from New York Times bestselling author and illustrator Amy Krouse Rosenthal and David Roberts! Here’s how it works: if you can avoid getting to the end of this book, you can avoid bedtime, simple as that. (It’s a pretty sweet deal, actually.) But each time you blink, you have to turn a page. Those are just the rules. So whatever you do, DON’T BLINK! It’s bedtime for the five little ducklings. The first little duckling says, “Okay. It’s been a very busy day.” The second little duckling says, “Come on! Let’s go and put our jammies on.” But when the fifth little duckling says with delight, “I’m not going to bed tonight . . .”—the smooth-running train to bedtime is temporarily derailed. However, a little cooperation from the ducklings and a little love from Mama duck soon set things right for a happy, snuggly night. Perfect for fans of The Runaway Bunny, this children's bedtime story is filled with baby animals and their mothers: an otter tucks her little one into a kelp forest bed; a family of brown bears snuggle all through the winter; a humpback whale sings a song to soothe her calf. Lovingly illustrated and lyrically written, I Would Tuck You In is written and illustrated by husband-and-wife author and artist team Mitchell Watley and Sarah Asper-Smith. Brownie and Pearl should be getting ready for bed. But instead of hitting the hay, they decide to play dress-up. They don pearls, apply powder, and add glitter galore. And when they make their sparkly debut, Mom and Dad can’t help but agree: Brownie and Pearl are so dolled up! With its adorable characters, sweet storyline, and vibrant illustrations, this second installment in the Brownie & Pearl series is certain to delight young dress-up fans across the land. "Featuring ... art by Camille Garoche, [these song lyrics by Laurie Berkner carry] readers away to a feather-fluffed dream world where bedtime is always a grand adventure"--Amazon.com. "Whether they spot themselves in Charlie or Lola, young ones will enjoy this exuberant, hilarious spin on a bedtime story." 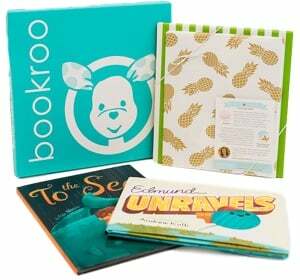 — BOOKLIST Night owl Lola likes to stay up coloring and scribbling and wriggling and bouncing and chattering. Lola never gets tired. How can big brother Charlie convince her it's time for bed? Heralded by the WASHINGTON POST as "a delightful new voice in children's books," author-illustrator Lauren Child splashes her offbeat sense of humor and unique artwork all over this bedtime story. Laugh out loud at Lola's imaginative antics, but save a cheer for kind, patient Charlie, the big brother we'd all love to have. Pack your toothbrushes, but leave your pajamas and pillows behind for this one-of-a-kind bedtime story from Ida, Always author Caron Levis and bestselling illustrator LeUyen Pham. And whatever you do…DON’T YAWN! Gabby Wild has had enough of bedtime. Yawn, curl, snuggle, snore—what a bore! So instead of tucking in, she jets out—with poor Granny in tow—to a place where beds are for bouncing, hushes are shushed, and it’s never too late for ice cream. But sometimes, even when you grit your teeth and seal your lips, it’s impossible to stop that…YAWN! There’s a yawn on the loose! Can Gabby stop that yawn from spreading the snooze, or will it be lights out for Never Sleeping City? As the long day comes to an end, Mother Sky fills a tub with falling stars and calls, "Bath time for Little Night!" Little Night answers from afar, "Can't come. I am hiding and you have to find me, Mama. Find me now!" Where could Little Night be? Down a rabbit hole? In a blueberry field? Among the stripes of bees? Exquisitely painted and as gentle as Little Night's dress crocheted from clouds, this is a story to treasure. With a bilingual text in both English and Spanish, Little Night Nochecita by Yuyi Morales is a sweet story every child can enjoy. When Mom's at the movies, Dad is in charge for the night. And from lumpy potatoes to bathwater that's a little too cold, nothing is quite right. "That's not how Mom does it," Clara tells Dad. But she soon learns that Dad's ways of doing things aren't so bad—in fact, she even gets two bedtime stories! Being with Dad has its benefits; as her dad explains, "With me, it's like that!" A young Supergirl fan faces her most elusive adversary - sleep! As darkness falls, a young girl attempts to catch some Z's while DC Comics' SUPERGIRL tracks down an elusive enemy. With super hero traits, like BRAVERY, PATIENCE, and PERSISTENCE, they'll both turn sleepless nights into sweet success and sweet dreams. Along with Omar Lozano's action-packed art, bestselling author Michael Dahl (Bedtime for Batman, Good Morning, Superman, and Be a Star, Wonder Woman) delivers an imaginative bedtime book for fangirls and fanboys alike.